These beetles are pollinators although this one was chowing down on my blackberries. Many thanks to @AndyBugGuy for the confirmed identification of this female. 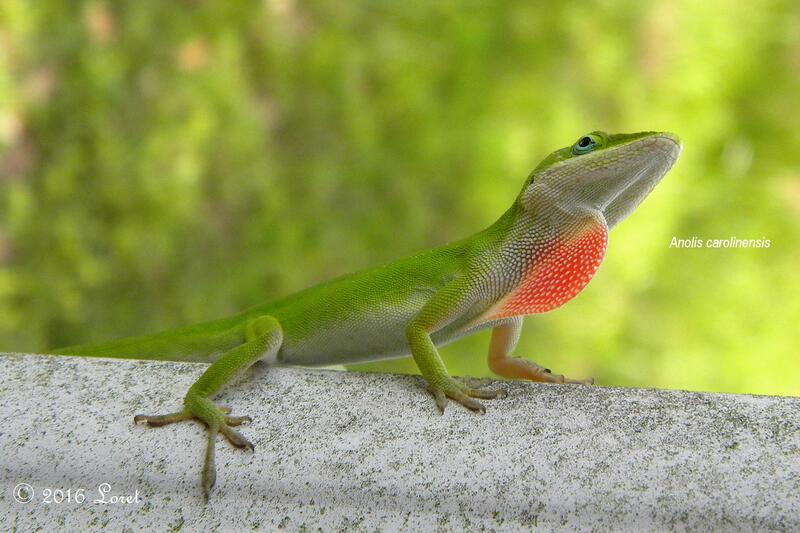 Green anole is the only anole species native to the U.S. They compete with exotics for territory and you can help them by planting taller shrubbery. The natives are willing to climb up higher than the brown anole, so if you provide this type of habitat they will stand a better chance. The honeybee was introduced from Europe and is often used in the pollination of commercial crops. May be a pest of fruit bearing trees and shrubs but has a place in the circle of life. egg predators include: fire ants and tree crickets. VERY vocal birds but quite secretive. You’ll often hear them but not see them. I was lucky a few years back to have them nest in one of my pine snags using an old woodpecker’s hole. Since the snags have disintegrated, they also routinely give the bluebird box a once over as a potential nesting site, but realize that the hole is too small for them.